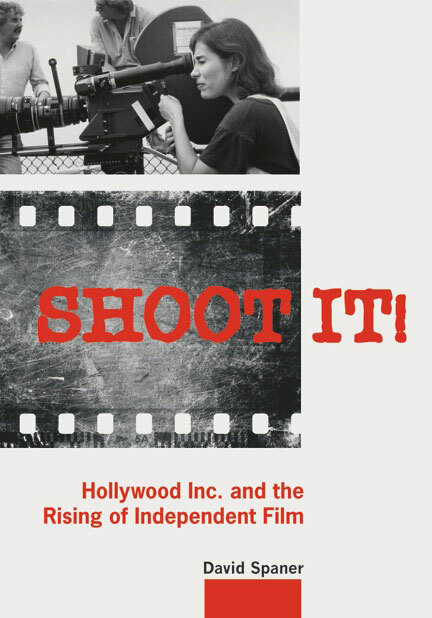 TINARS is Occupying Hollywood for just one night as the Indie film community celebrates the launch of movie critic/film historian David Spaner’s new book Shoot It! Hollywood Inc. and the Rising of Independent Film. Indie film pioneer Larry Kent introduces the evening featuring film clips, slideshows and a candid discussion between David Spaner and film critic Richard Crouse about the void created by the Hollywood studio system and the independent filmmakers overcoming obstacles to fill it. Presented by This Is Not a Reading Series, Arsenal Pulp Press, the Gladstone Hotel, Productions and The Toronto Review of Books. Shoot It! Hollywood Inc. and the Rising of Independent Film is a revealing history of how Hollywood, with its eye on the bottom line, lost its ability to support the work of creative filmmakers; it is also a passionate portrait of the independent filmmakers who have risen up to fill the void. The book examines the Hollywood studio system over several decades, from the period when it produced more quality yet commercially viable films, to today, when studios seem only interested in surefire sequels and comic-book adaptations aimed at a global audience. By the same token, Shoot It! also celebrates today's great movies produced outside of the studio system, chronicling the international independent film movement in seven countries (the United States, Canada, Mexico, Britain, France, Romania, and South Korea), from its roots (European New Waves, New York independents) to the revolutionary impact of digital technology. It also features commentary from indie film notables such as Mike Leigh, Gus Van Sant, Claire Denis, Miranda July, Woody Allen, Atom Egoyan, Catherine Breillat, Sally Potter, John Sayles, and Ken Loach. While the studios envisage a generic universe, repressing local film cultures along the way, talented independents continue to tell local stories with universal appeal. This book is a celebration of those determined filmmakers who, despite it all, overcome every obstacle and just shoot it. For more information about the book, visit Arsenal Pulp. 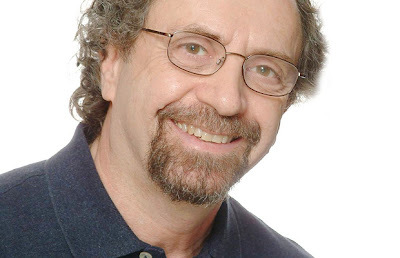 David Spaner has worked as a movie critic, writer, reporter, and editor for numerous national publications. His movie coverage—often focusing on independent film—and other writing featured in the Vancouver Province daily newspaper from 1999 to 2008, won the Publishers Award for best feature writing in the paper. His political and cultural commentary has appeared Georgia Straight, Vancouver Sun, Ottawa Citizen, Montreal Gazette, and Vancouver Magazine. Spaner was a co-founder of the Vancouver Film Critics Circle and has often appeared at film events as a moderator, juror (from Vancouver's 48-hour-film contest to the Toronto International Film Festival's panel that selects the year's top-10 Canadian films), or programmer (in 2010, for instance, he curated a tribute to University of B.C. filmmakers). He is also the author of Dreaming in the Rain: How Vancouver Became Hollywood North by Northwest. Visit David’s site at www.davidspaner.com. Larry Kent One of the original English-Canadian auteurs, South African-born Larry Kent produced, wrote and directed a number of enigmatic, personal and powerful dramas during the sixties and early seventies. Kent came to Vancouver from South Africa at the age of nineteen and made his first film, The Bitter Ash (1963), while still a student at the University of British Columbia. His low-budget and semi-improvised early films were among the first in Canada to explore the social, cultural, sexual and feminist revolutions of the sixties; as a result, they were subjects of controversy and censorship across the country. The bold stylistic expressiveness and adventurousness of Kent's sixties films mark them as key works of their era, and represent a vital step away from the realist/documentary tradition that had dominated Canadian filmmaking. Many critics and historians contend he has never received his proper due as an important and influential figure in the development of our national cinema.